Sprinkled throughout the United States are roads known as Gravity Hills. These roads defy gravity itself in that you park your car at the bottom of the hill, put your car in neutral, sit back and wait. Slowly, your car will be pulled up the hill as if by unseen hands. As your car continues up the hill, it will continue gaining speed until it reaches the summit of the hill and slides down the other side. 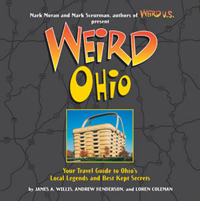 While almost all of the Gravity Hills through the US have some sort of creepy legend associated with the phenomenon, the strangest thing about King Memorial Road in Mentor is that there is absolutely no legend associated with the road. No school bus crash that killed dozens of children, no tortured spirit of a man killed while walking on the road. Nothing. And yet, crowded carloads still find themselves pulled up the hill, any time of the day or night. The popular belief is that Gravity Hills are nothing more than optical illusions and that while it may look and feel like your car is being pulled uphill, you are in fact simply rolling downhill. There may indeed be some truth to this because while you're sitting in your car at the bottom of King Memorial Road, you do feel like you're in front of a small hill. Even as your car is slowly making its way "up" the road in neutral, the sensation is that you are going uphill. As you reach the top of the hill and start your way down the other side, it clearly feels as though you have just crested a hill. But when one goes back to the end of King Memorial and looks towards the hill from a distance, the road does appear to be going downhill. 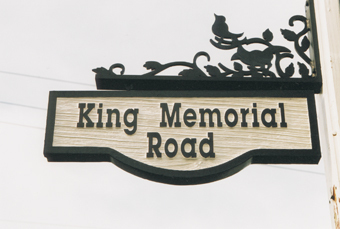 Part of the allure of King Memorial Road is that it practically dares you to try it. Of course, local police to not take too kindly to motorists sitting in the middle of the street obstructing traffic. On top of that, since your car is only going 5 MPH or so, there is certainly the very real danger of an accident. 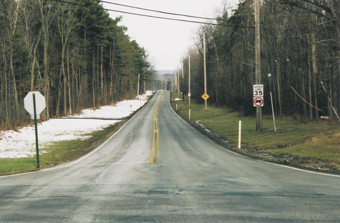 So if you decide that you just have to try the Gravity Hill for yourself, be careful. Or you just might end up being the first ghost said to haunt King Memorial Road.